I am absolutely, one hundred and one percent positive that Zef is in possession of superpowers. 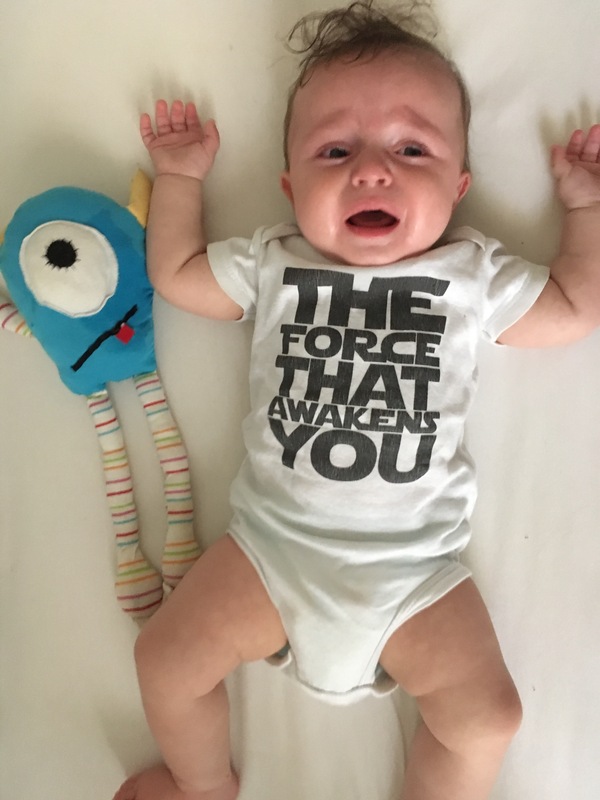 Like any good parent, it is my hope that I will raise him to be a good man and that he will use these powers for good and not evil. As far as now, though, I think it’s enough to just say that he’s using his powers and using them mostly on me. I fear I am part of his experiment or, perhaps, part of his elaborate superhero (super villain?) training. If you find yourself in possession of your own baby with superpowers or are expecting one of these super-powered babies in the near future, I hope this list helps you to prepare yourself for your own baby superhero and, possibly, to maybe even defend yourself against your little one as they train to become the superheroes we hope they will become! Ear-Piercing Shriek – A newly developed power that, when unleashed, brings puny humans to their knees in sheer agony. 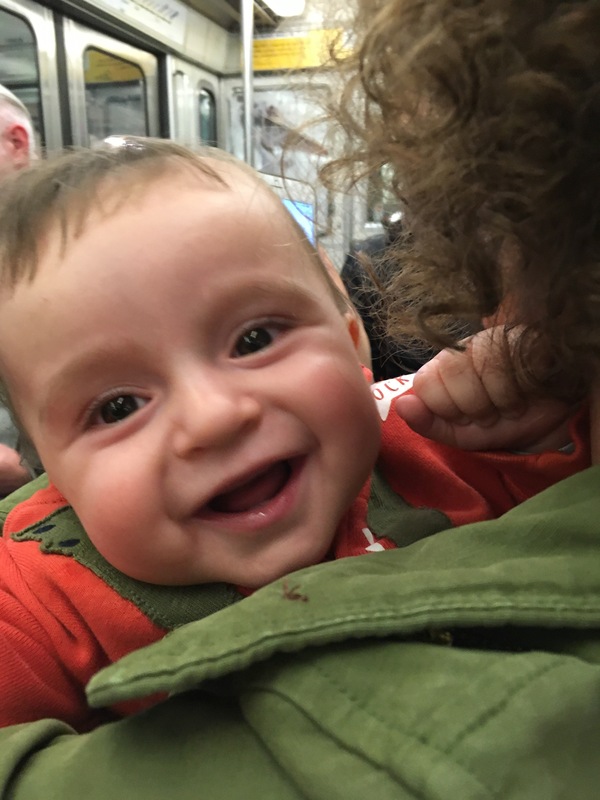 Heartbreaking Smile – Unless one is a stone-hearted baby-hater, this smile, when witnessed, has the power to literally melt hearts. And I mean literally very, very literally. Chests heave before caving in as the heart quickly becomes little more than fondue. It’s a disturbing thing to witness. When coupled with his maniacal laughter, this power is unstoppable, leaving mortals in his wake. Telepathy – How else does one explain how his mother can be across the city… yet… she knows that he is hungry? He didn’t write or call or text. Nope. He used his powers of telepathy to tell his mommy that he’s hungry. I am certain of this. Professor X has competition. Forever Christmas (a.k.a. Buy Me The World) – Related to Telepathy (see above), he uses this grandmother-specific, telepathic power to influence the purchase decisions of his grandmothers. They buy him tons and tons and oodles and gobs of presents, no matter the time of year. It’s like Christmas for him every single time his grandmas visit! Pincer Grip – Between his small fingers, he squeezes bits of neck, crippling you immediately or, in the case of jewelry, latches onto shiny earrings and necklaces, tearing off earlobes and choking his victims. Beware! It’s like the Vulcan Grip in a smaller package with less pointy ears, but just as effective. Teleportation – Seriously. How else can one explain how I turn my back for a second, just one second, and then he’s across the room tipping over the potted plant and spilling dirt all over the floor? Teleportation. It’s the only sensible answer. Weaponized Biochemical Digestive Track – The horrid smell of his afternoon, post-purée diapers is all one needs to inhale to understand that this is a real, true, awful-smelling superpower and one that is possibly responsible for Global Warming or, at the very least, the stench of Metro Line 14. So, these are a few superpowers that I am positive that my son possesses. What superpowers does your little bundle have? And what steps have you taken to defend your mortal self? NFL Football in France… Yes You Can! OH! Man… if the pincers are garbed with their razor sharp claws, then this is becomes the Wolverine Grip with all its adamantium implications!!! I imagine our boys in their cribs late at night, the nail file out, a wicked grin plastered over their face as they slowly, methodically, file their nails into ten little knives. Those nails also grow at an alarming rate (perhaps advanced cellular regeneration—much like Wolverine again). I realized my biggest issue was the angle I was cutting them at. Because I was so scared I might clip his finger, I was canting the clippers. This ensured I cut them at an angle every time. Now I leave a little extra and make sure I cut them flat with no angle. A lesson I learned in blood (mine, not his). I think they must have Rapid Cellular Regeneration (RCR) which gives them the ability to heal more quickly than we mortals and, perhaps, even allows for the regrowth of a severed limb. We’re Going to the Zoo!!! The Age of Dinosaurs Is Upon Us!